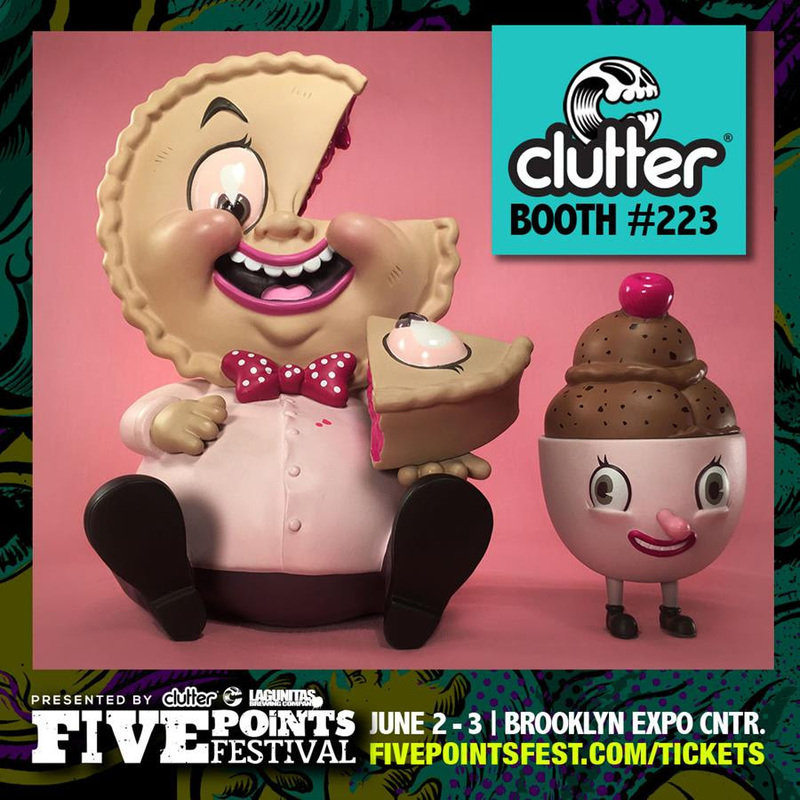 This weekend at Five Points Festival 2018, Clutter will be releasing the second colorway of Los Angeles based painter and designer Nouar’s fantastic vinyl figure, Mister Self Indulgence. Produced by Martian Toys, the Five Points Festival 2018 Exclusive Berry Pink Edition Mister Self Indulgence is inspired by mid-century Americana and food. Based upon an original 2012 painting of the same name, Nouar’s Mister Self Indulgence stands 9” tall and includes an awesome 4” companion, Lil Scoopy. Five Points Fest 2018 Exclusive Mister Self Indulgence Berry Pink Edition Vinyl Figure is limited to just 100 pieces, with only 50 pieces available at Clutter’s FPF booth #223 for $150.